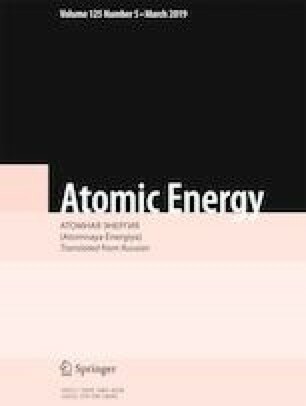 The main directions for adopting information technologies at the concluding stage of the life cycle of nuclear facilities for the purpose of automating and increasing the efficiency of decommissioning work are examined. A fundamentally new software-hardware platform – Digital Decommissioning – is presented; it combines a complex of software-hardware tools making it possible to reach a qualitatively new level of design and management of decommissioning. The basic functional blocks and an enlarged scheme of the software-hardware complex with a description of the key characteristics of the automated work sites are listed. The purpose, makeup, and prospects for adopting the Digital Decommissioning softwarehardware package combining innovative approaches to the final stage of the life cycle of nuclear facilities are examined. Translated from Atomnaya Énergiya, Vol. 125, No. 12, pp. 351–355, December, 2018. I. I. Zhuravlev and K. V. Yushitsin, “Implementation of the EBRR project for planning the dismantling of equipment for the Nos. 1–4 units of Kozlodui NPP (VVER-440) based on a digital model of power units,” in: 3rd Forum “Multidimensional Russia-2018,” www.imodel-russia.com/moscow-2018/agenda/#anc4.